QStar Technologies. 30 years of experience! QStar Technologies was founded in 1987, in Bethesda, Maryland (USA). From the outset the firm has focused exclusively on developing products and solutions to manage, store and archive enterprise level data. The term software-defined storage (SDS) is commonly used in the industry today. When QStar Technologies was developing the first archiving and data management storage systems software over 30 years ago, it had not yet been coined. QStar software solutions are totally independent of the underlying hardware and run on commodity servers with Intel x86 processors, delivering massive cost savings and flexibility compared with traditional storage systems. With QStar, you can avoid hardware vendor lock-in while modernizing your storage infrastructures, maximizing IT infrastructure performance, availability and utilization by virtualizing your storage hardware. 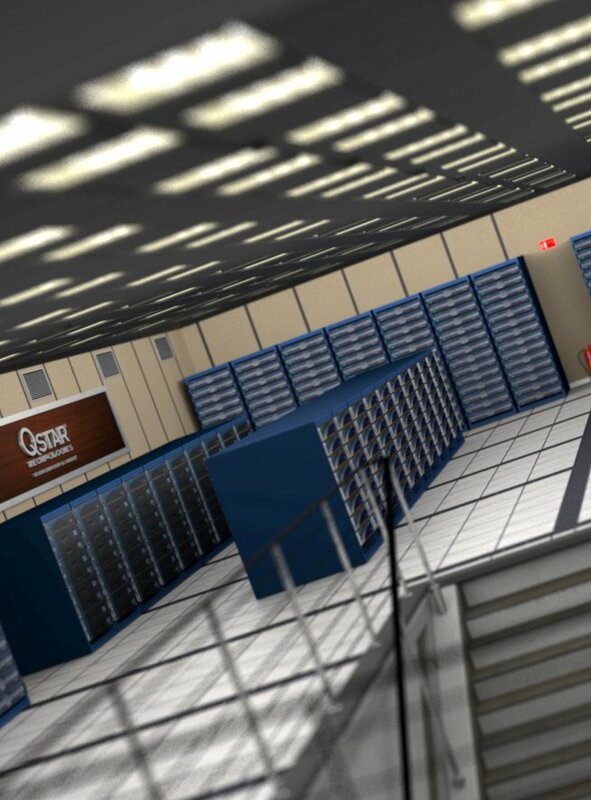 In an IT world facing continuous transformation, QStar has over the years designed and built innovative solutions that keep pace with continual technological and architectural changes to the enterprise data center, providing its clients with state-of-the-art products that deliver tangible and measurable benefits to their customers. As well as an ability to anticipate trends, frequently offering groundbreaking solutions well ahead of the market. Proof of this are the leading international vendors who sell products developed by QStar under their own name through OEM agreements. Managing, storing and accessing that data is a constant and costly challenge for any company. All organizations worldwide, whatever the market or size of business, are seeing their enterprise data grow exponentially. To meet this challenge QStar solutions let medium and large companies worldwide optimize their data assets while significantly improving security and dramatically cutting costs, because, we know, that not all data is equal. QStar gives companies an intelligent way to protect, manage and use their data according to its importance. QStar is well aware of the challenges which companies worldwide face in having to transform their IT processes and infrastructure as new technologies emerge which will radically change the way we work in the next few years. The cloud is surely one of the most exciting examples of this. It enables the creation of modern data centers which help companies save time, reduce risk and dramatically cut their operating and capital costs. In this specific market, QStar offers technologies, products and solutions that help clients to achieve their current and future business goals. This complete range of unique cloud solutions extends customers’ storage infrastructure virtually in any type of cloud – public, private or hybrid – completely transparently to both applications and users. These solutions have allowed QStar to close deals with leading players in the cloud computing and telco companies, who today can offer a portfolio of innovative services, giving them a competitive advantage over their competitors. With QStar’s solutions clients can accelerate transformation of their storage and cloud infrastructure and resolve a range of IT and business challenges, such as multi-cloud data management, data protection, storage optimization, and data archiving in compliance with the most stringent international standards on sensitive data. At the same time, solutions developed by QStar for traditional data centers deliver extraordinary cost reductions with respect to traditional storage solutions. QStar transforms complex infrastructures with a simple, easy to manage and economic solution that eliminates the storage silos that oblige companies to continually invest in new hardware and costly forklift upgrades and can mean downtime, loss of control and additional operating costs. Our long-term data retention solutions enable firms to dramatically cut storage purchase costs as well as the associated recurrent costs, at the same time increasing security and integrity and safeguarding your data from malware of all kinds. Our solutions also comply with the most stringent international standards for sensitive data. We offer an advanced range of storage solutions that simplify data management and archiving with innovative tools that keep pace with the market. Because we all know that traditional data protection is complex, slow, inefficient and very costly, in terms of the infrastructure, and the human resources required for repetitive and mindless tasks. We let you leave behind these obsolete and outdated practices.